What's the Best Time to Climb? For many climbers this question is almost irrelevant as they will have to fit their climb into whatever dates they can clear from their busy work or family schedules, though for perhaps the majority, this is probably the first question prospective climbers should ask themselves. Generally speaking - as the above statistics demonstrate - most climbers avoid climbing Kilimanjaro during the two rainy seasons each year. The main reason for this is that climbing in the rain is simply less enjoyable for most people and means missing out on many beautiful views and photographic opportunities. There are virtually no crowds on any routes. So even a busy and heavily commercialised route like Machame can be almost empty and one can pretty much have the trail to oneself. For some the idea of climbing Kilimanjaro when the summit is most likely to be snowcapped can feel like a more authentic alpine experience and adds an additional element of challenge to the adventure. For most climbers however, the idea of minimising the likelihood of being often rained on and having the best prospects of good views and photo opportunities, are some of the deciding factors when deciding when to climb. Because Team Kilimanjaro is aware of these trends we have long sought methods to ensure that our climbers are not exposed to high volume crowding and that they should enjoy as authentic a wilderness experience as possible, despite climbing at a very busy time. As well as trying to incorporate some of the best pro-acclimatisation topographical features as possible, our desire to avoid crowds has driven us to develop unique routes that are exclusive to us and which we believe offer the best possible experiences and summit prospects on Kilimanjaro. 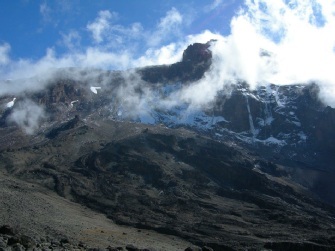 This means that even if choosing or needing to climb at a time of year when the highest volumes of climbers on Kilimanjaro can be expected, Team Kilimanjaro are reasonably confident of ensuring that you are not likely to suffer from crowds and that you can enjoy the vast majority of the trail at your pace, without leap-frogging other groups or being jostled by their support staff. 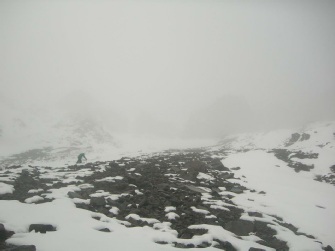 With respect to some of the peculiar benefits of climbing during rainy months - albeit, these factors are appreciated by a relative minority - and to the fact that we are generally able to minimise crowding to a very acceptable level at all times of year (with very occasional and unpredictable exceptions), there are really no months that absolutely have to be avoided. For those who are not wanting to risk finding themselves in crowds at any point on the mountain, and who also wish to avoid the times of year when rain is a near certainty, the following months would usually be considered: January, March, June, October. Wanting to meet others while climbing Kilimanjaro? While the above paragraphs perhaps implicitly refer to crowds on the mountain as being a negative factor, this is simply so because a clear majority of our climbers seem to want to avoid crowds and have as customised and exclusive an experience as possible. We do also have climbers, though, that may join a climb solo or in pairs who want to meet others and who enjoy the prospect of having access to as many strangers as possible. Where this is a preference we recommend that climbers should request to climb the Machame Route with us. Climbers requesting Machame should understand that although Team Kilimanjaro’s 7 day Machame Route is entirely unique to us, it is only the configuration of the timings for movements on this route that are unique and not the trail itself. We depart from the norm simply because - with respect to all the other operations - it is illogical and inefficient to spend three consecutive nights at a negligibly different altitude, and then leave unnecessary distance to be completed on the morning of the day which is to be by far the hardest on the mountain. Climbers then that opt to climb & Machame with TK will simply forge ahead on day 5, have pre-assault rest and enhanced acclimatisation opportunity, and then be caught up the following afternoon by others that they may have met along the trail. 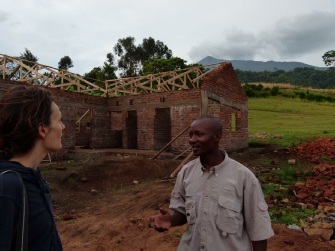 Thinking of climbing Kilimanjaro for charity?